Take on with your everyday work with HP 280 G1 Microtower PC which comes in a dashing body design and enhanced features. 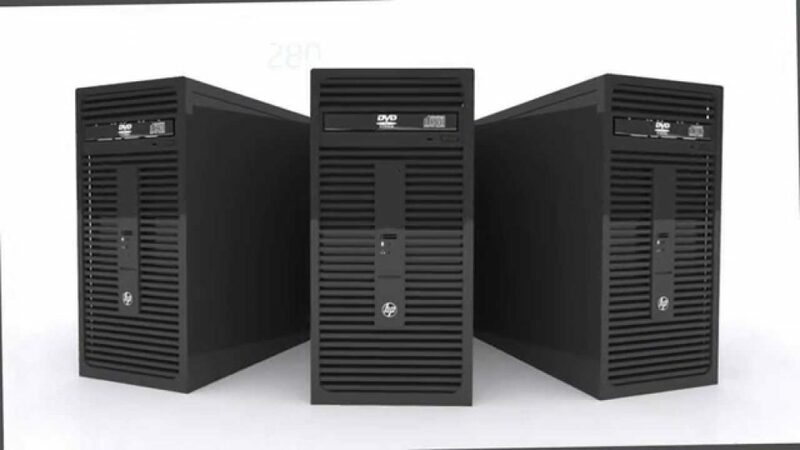 The HP 280 G1 Microtower PC brings you the high performance which you’ve never experience before, the PC has embedded with a huge 500 GB (SATA) internal storage at the speed of 7200 RPM so you can make a lot of documentation work and save them on one place like presentations, projects and another business documents and it is infixed with a 4 GB DDR3-1600 SDRAM which will give you the super fast browsing experience and offers you an interruption free video streaming and allow you to make enhanced video chatting and online presentations or meetings. The Microtower PC has powered by the most modern and powerful Intel Core i5-4590S processor (3 GHz, 6 MB cache, 4 cores) and it is integrated with Intel HD Graphics 4600 for the edge-to-edge details and runs on the professional operating system of Microsoft Windows 7 Professional (64 bit), which gives you a complete control on the apps and allows you a faster switch between programs. Moreover, the PC comes with a One (1) year warranty and available at affordable price.